Landbrotalaug is an Icelandic gem of a hot spring. Paul Hutchinson has kindly accepted to contribute to Stuck in Iceland. Paul is not only a great writer and photographer but also an expert programmer and a legend in the gaming world. Here is tell us about a nice little hot spring he found. 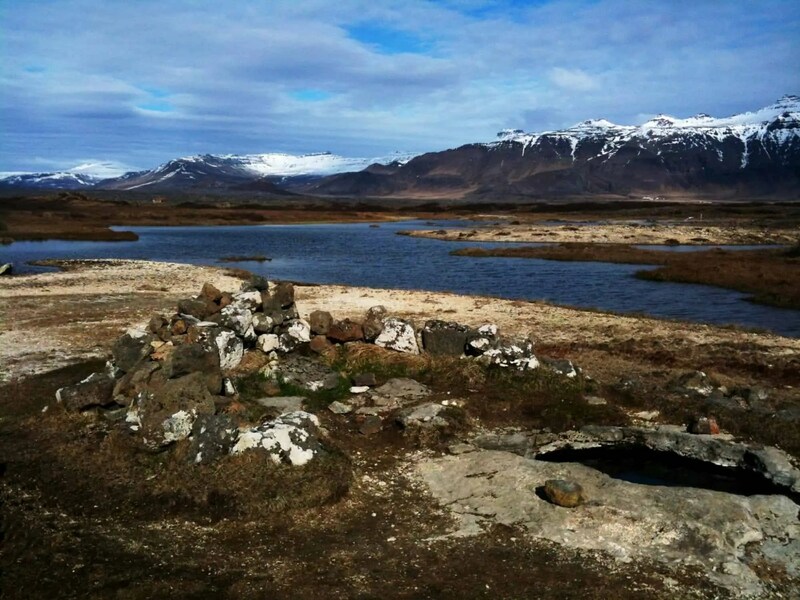 The hot spring he found is in the lovely Snæfellsnes peninsula. It is a fantastic area to explore. Landbrotalaug was a surprising gem of a find, and has become the most favourite place that I have visited in Iceland thus far. Prior to this I had found two spots which held a special place in my heart. Firstly, a clearing along the hike up towards Glymur, a waterfall in Hvalfjörður, which had captured my heart. Subsequently, my heart had been won by the golden sand beach at Búðir (Snæfellsnes), on a warm (by Icelandic standards) August afternoon. I had a visitor over from the US, and so I had set about thinking up all manner of fun and interesting places to go and see. Said visitor had mention they wanted to see a “natural hot spring”, and, since we had just been to Jökulsárlón, which was eastward, we logically had to go in a westerly direction. 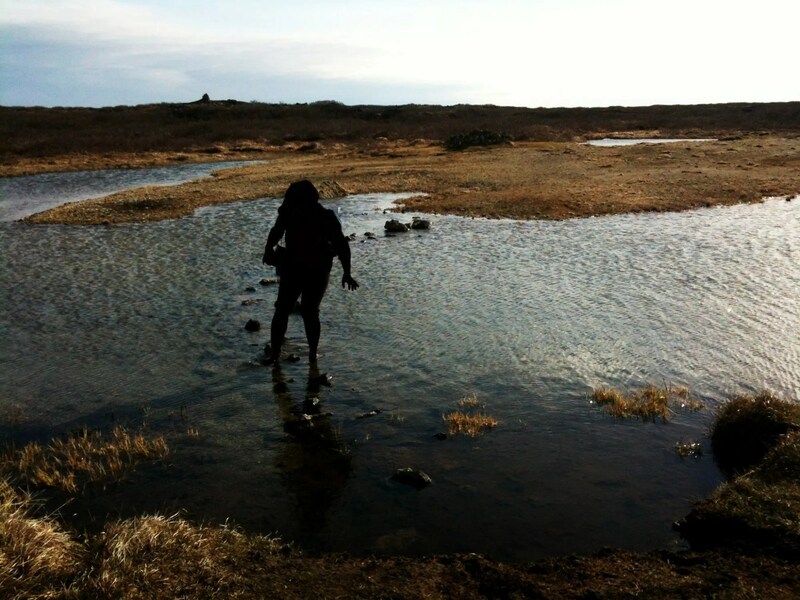 So, what else was I to do but enter “Hot Spring Snæfellsnes” into Google search and see where such a place might be. Up popped Landbrotalaug with convenient GPS coordinates (GPS: N64°49.933 W22°19.110), which I plugged into my Garmin, and off we went. 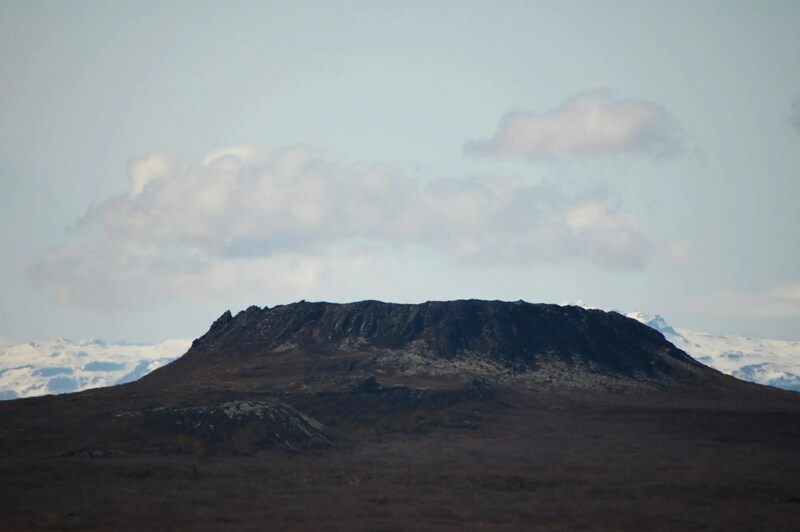 It´s about an hour and three quarter drive from Reykjavík, taking route 54 in the direction of Stykkishólmur. Passing Eldborg, a prominent volcanic crater, on the left shortly before arriving at the intended destination. We rented the cheapest vehicle we could find, so it was small, and not up to tackling any terrain that 4×4 vehicles practically revel in traversing. When driving to a place where tracks led off to the left. We deemed it to be a bit too muddy looking for our non-4×4 mode of transport, so we duly parked courteously off to the side, and walked the rest of the way in. It was not a long walk from there at all. We encountered a family who were there and just leaving. They very kindly explained where the ‘hot pot’ was, saying there was about a ten meter crossing of some water where one had to go barefoot, but that it was well worth the effort of getting out there. We followed their direction, making our way across the water, stepping gingerly on the stones which mark a path across it. By the time we made it to the ‘hot spring’ another vehicle had arrived with a couple of passengers, who we could see in the near distance. However, they soon left, and we had the whole area to ourselves. We took turns changing into our bathing costumes, and proceeded to immerse ourselves in the rather inviting water. The temperature was warm, but not as hot as it can get (around 42C, or so it is said). Quite pleasant indeed. The view was nothing short of awesome. There are those times when I have the thought “Hey … I am in freakin’ Iceland!”. This was very definitely one of those times. The setting was perfect. Not a soul around. The sound of birdsong. Low, Icelandic looking landscape all around. Tall, snow frosted mountains in the distance. Then I thought “Wow … this is really kind of romantic, isn’t it?” … and it was, quite unexpectedly. After soaking in the ‘hot spring’ long enough to get wrinkly, we decided it was time to leave. We both agreed we could have stayed there for days, it was such a beautiful setting, and quite enchanting. Drying off and donning our clothing, we set off back toward the spot where the car was parked. As we returned along the gravel road back to the ‘malbik’, we spotted some horses grazing at the roadside, and decided to spend a few moments horse-gazing. I am personally rather partial to the Icelandic horse. I admire their fortitude, being outdoors without shelter in all manner of seemingly hostile weather. Plus they seem to have a very pleasant disposition (I have taken care of non-Icelandic horses myself, so I am somewhat familiar with equine behavior). We continued onward on our journey along the southern coast of Snæfellsnes, seeing the many other sights there. However, Landbrotalaug was very definitely the highlight of the trip. I can highly recommend it as a stop. Certainly I will be going there again. For now I have a most wonderful memory to cherish.